I'm using a StudioLive AI Console (with an AVB option card installed) in combination with an RM mixer serving as an AVB Stagebox. Can I also use a CS18 connected to the RM mixer? Using a CS18 with an RM that's in an AVB stagebox/monitor mixer configuration with a StudioLive AI Console is not a currently supported configuration. When a CS18 connects to an RM mixer, it triggers the RM mixer to attempt to reconfigure its AVB connections in order to send and receive audio between the CS18 and RM. 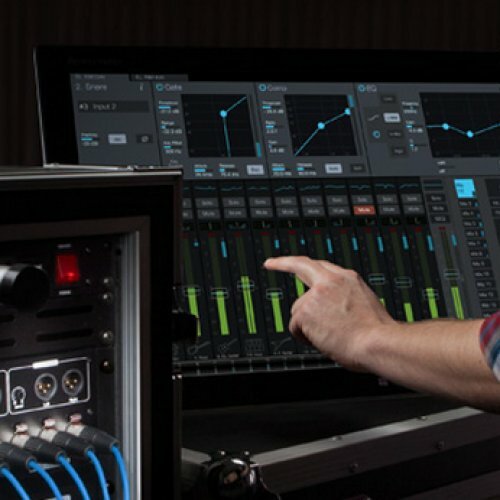 This in turn can interfere with the AVB connections between the RM mixer and the AI Console, causing loss of audio between the RM stagebox and the AI mixer at FOH position. How can I control an Aux mix on the RM16Ai when used as a stagebox?